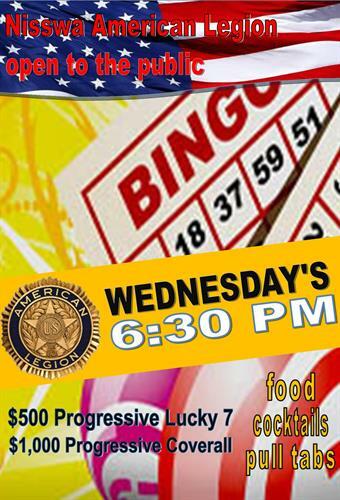 Join us on Wednesday evenings at 6:30pm and play for a chance to win some big money! 15 Games played including $1000 Progressive Coverall and $500 Progressive Lucky 7! Kitchen in open during Bingo – All are welcome.